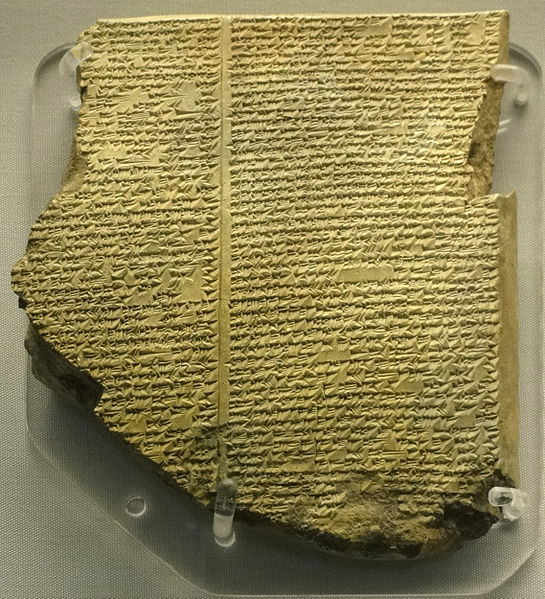 A collection of around 25,000 clay tablet fragments, the Library of Ashurbanipal was discovered in the mid 19th century by Austen Henry Layard at the Mesopatamian city of Nineveh (in what is now Iraq). Ashurbanipal was the king of Assyria during the height of Assyrian military and cultural achievements, but beyond this he was a passionate collector of texts who sent scribes throughout his Empire looking for additions to his library. The library itself was one of the largest in its time and contains approximately 1200 texts. These texts included royal inscriptions, chronicles, mythological and religious texts, contracts, royal grants and decrees, royal letters, omens, incantations, hymns to various gods and texts on medicine, astronomy, and literature. Some of the literary finds include the epic of Gilgamesh, the Enuma Elis creation story, the myth of Adapa and the Poor Man of Nippur. In 612 BC, Nineveh was destroyed by an alliance of Babylonians, Scythians and Medes and the palace was burned, thus preserving the clay tablets by partially baking them. Buried for centuries by invaders, the Royal Library of Ashurbanipal gives scholars a lot of precious information about the ancient inhabitants of the Near East. 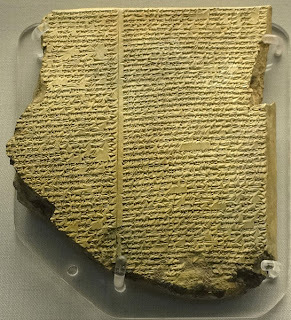 Besides the epic of Gilgamesh one of the most important texts found at the site was a nearly complete list of ancient Near Eastern rulers.